The difficulty while operating a mulitcopter raises with the number of the rotors. You can decide between three, four, six and eight rotors. The most popular model of rc drones is the version with four rotors which is called quadrocopter. Here you will find all drone variations of the Modellsport Schweighofer product range. 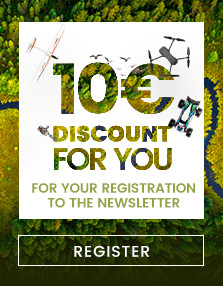 In the Schweighofer drone shop you can buy multicopters for great and from selected manufacturers such as Yuneec such as DJI, Revell or Blade by Horizon Hobby. To be able to offer a drone from every price class, we carefully selected models and manufacturers and decided for high quality products. 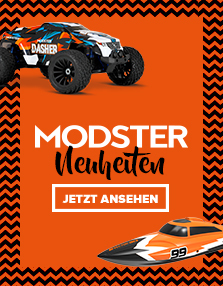 You will get the usual Modellsport Schweighofer Service and the big range of accessories and spare parts for all rc quadrocopters.